A Novelty Ice Tray is a household essential. 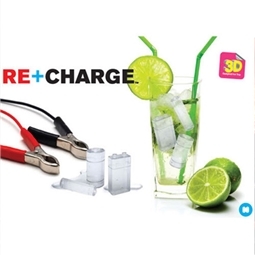 It brightens up days, livens up drinks and always guarantees a smile - especially at parties. These Bullet Ice Cube Trays are no different! 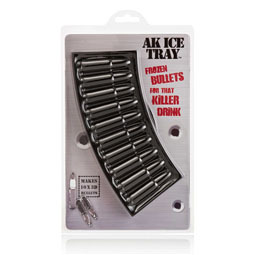 A real crowd pleaser, these awesome ice trays make bullet shaped ice cubes to make your drink cool in more ways than one. Will keep your drink ice cold! No one likes a lukewarm drink - can we get an amen up in here? Being served a warm drink at a party is devastating. Make sure you're not that guy by keeping your freezer stocked full of ice cubes - making you the coolest party host in more ways than one. Get it? 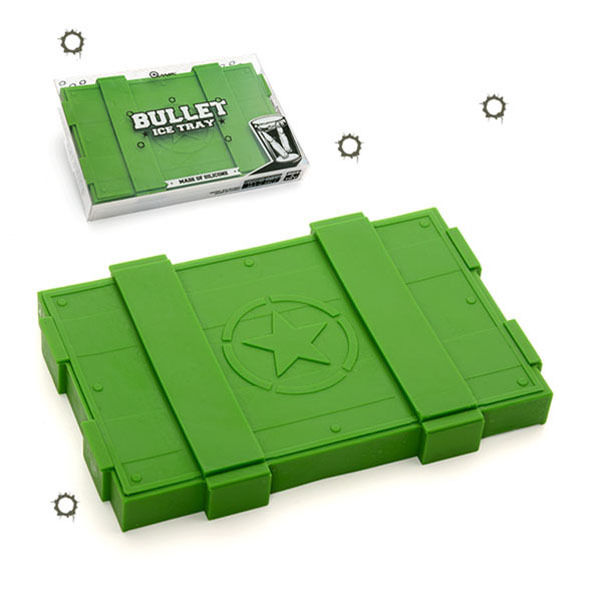 These bullet ice trays mean your ice cubes will be a cut above the rest, as they form the perfect shape of bullets. Plopping a couple of these in your drink will give you approximately 1000 cool points, as well as keeping your beverage arctic and fresh. 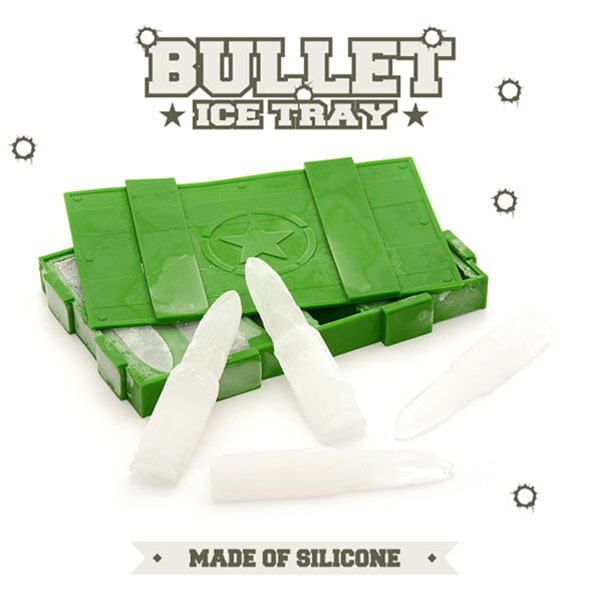 Spice up your life with these bullet ice cubes and become the coolest kid on the block. 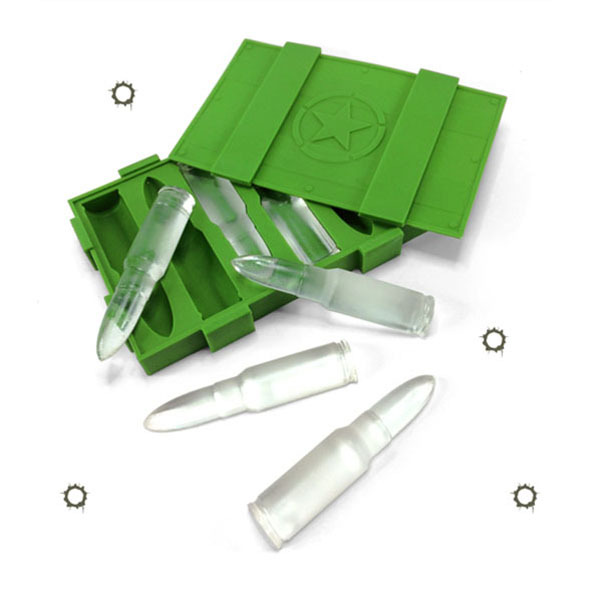 When it comes to novelty ice cube trays, you won't get much better than these funky bullet ice cube trays. 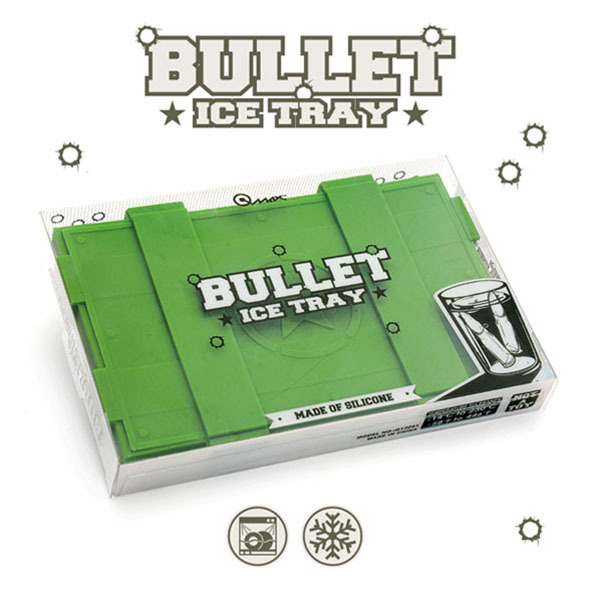 Grab a bullet ice cube tray today to ensure you never have to endure a disappointing beverage ever again! Plus - bullet shaped ice cubes are totally cool.